Under Circular 41/2018/TT-NHNN, which will replace Circular 19/2016 as the regulation on bank card operations starting on February 18 this year, commercial banks must increase the ratio of chip cards to at least 60 percent by 2020. This means at least 51 million cards will use chip technology. The regulation will ensure the country has completely switched to chip cards by the end of 2021. The new regulation also stipulates card payment institutions must ensure that at least 35 percent of their ATMs and 50 percent of their points of sale (POS) accept chip cards by the end of this year. The ratios are required to increase to 100 percent by the end of 2020. During the transition period, institutions must ensure all their ATM operations run smoothly, stably and safely to protect the interests of cardholders. Under the new circular, SBV also requires all domestic chip cards must meet standards issued by the bank in October last year. The cards must be compatible with EMV standards as well as the standards of international card organisations such as Visa, MasterCard, JCB and UnionPay. Statistics from the SBV showed that as of September 2018, the country was home to more than 18,170 ATMs and 294,500 POS machines, serving over 85 million ATM cards with magnetic strips. These old-style cards can be easily hacked due to weak security features. International card-issuing organisations have asked Vietnamese banks to switch to chip cards that meet EMV standards to increase safety amidst a growing number of information thefts. 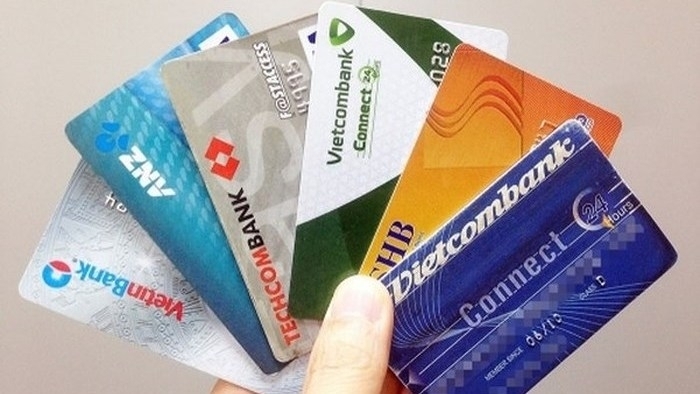 Security experts have also warned Vietnam’s delayed transition to chip technology could put the country at risk of becoming a ‘haven’ for card criminals from around the world as it is among the dwindling number of countries where the use of magnetic swipe cards is still prevalent. Commercial banks are in the process of switching over to the new cards because of their stronger security features. However, some banks say the switch faces multiple barriers. They will have to upgrade their technology and replace ATMs and POS terminals with newer ones that are compatible with chip cards. According to banks, issuing a chip card can cost some US$1.50-2.50, meaning they will have to spend between US$105-175 million for the transition, in addition to the cost of upgrading ATMs and core banking systems to adapt to the change.